When you think of a strong investment, your mind will likely jump to thinking about stocks or business purchases, but you might be surprised to learn that land ownership is one of the most underrated investments you can make. Vacant land is often misunderstood when it comes to financial benefits for the simple reason that a piece of land just is not that exciting. It sits there without doing anything, and to be honest, it’s just a really boring product — but that’s what makes it such an amazing purchase opportunity! You may have never realized it, but owning vacant land is a great way to make money, and because you can do so much with it, it’s an investment that can become very versatile. Owning a piece of land, in a location that can best meet your needs, will benefit you financially for decades to come. So what’s the secret to land investment? It’s knowing how to make your purchase be one of the best decisions for you and your family, earning you money without taking up too much time or effort. Flipping houses or buying properties to rent out could be worthy investments, but why should you put energy into a project when you can just benefit from something that doesn’t need any additional work? There’s no house to flip, nothing to renovate, no plumbing to fix, no codes to keep, and no inspections to deal with. If you love simplicity and efficiency, land purchasing is for you. Not to mention, you won’t have much emotional attachment to your investment, making it easy when it’s time to sell or rent the property for someone else to build on. This anti-sentimental quality also makes it much painless for you as a buyer to find a seller willing to pass along their vacant property to you. When a land owner doesn’t spend time there and has no construction with which to attach themselves, it makes it effortless to let go. Just because someone didn’t know how to make the best use of the land and earn a substantial profit from it, doesn’t mean you won’t be able to benefit greatly from the same investment. Location is everything, and just as long as someone else or another company can come in and build on your land, you’ll be set to see the growth of your investment. If you’ve been looking in the market to buy a home, chances are you’ve been warned about tight competition or the need for quick decision making in order to beat out any other interested clients. With vacant land however, there is often little to no competition whatsoever. Even for investors who are experts at purchasing and reselling houses, or even residential lots, the idea of buying land doesn’t often cross one’s mind. It doesn’t seem like a great move because you can’t see the concrete product that you’ve purchased. But that’s just it — the land itself if the tangible item you’re buying — and it’s worth is not to be underestimated. Having this inside knowledge gives you a great start over other real estate competitors who don’t realize that they too should have tried to acquire the land. 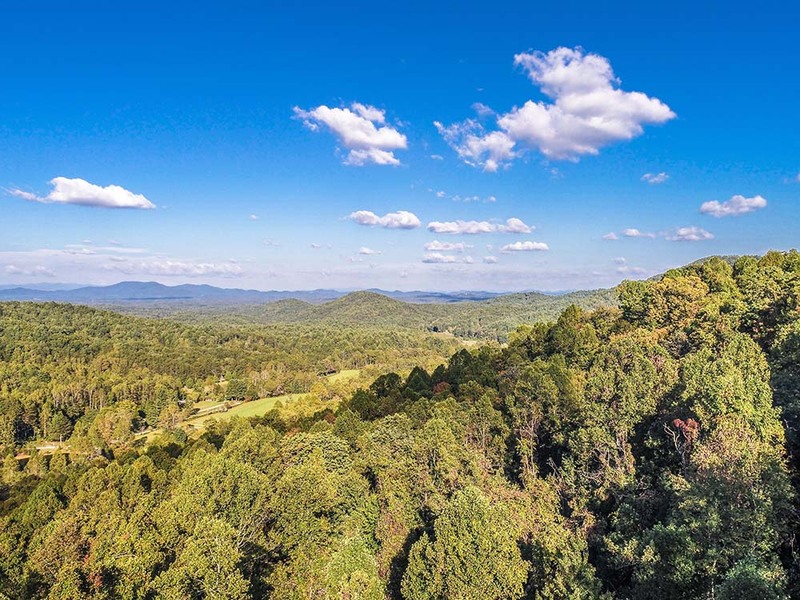 Unlike stocks or buildings, purchasing land in Blue Ridge GA means that you are in total control of what happens to your investment. The way your make your purchase even provides its own kind of independence. In some cases, you’ll be able to buy without having to communicate with third party financial institutions like mortgage companies or banks. Thanks to modern technology, you could buy an attractive lot without actually having to travel there in person, which also cuts back on your personal expenses and time involved. Virtual purchasing and selling? Yes, you read that correctly. You can manage your property investment from your couch. As far as long-term investments go, owning land is the best and most sound option available. Not only will land always stay in the same place and never change, owners are also free from having to pay bills, fix repairs, upgrade structures, or investigate the conditions of the property in person. It doesn’t diminish in size or value, and you’re not relying on a certain time frame in which you’ll need to sell or rent your purchase. There’s also a limited quantity available — no one is making more land out of thin air to sell — which increases its value just by existing in the first place. If you’re concerned about property taxes, that’s something to research depending upon where you’re looking to acquire land, but comparatively, taxes on vacant land are very low. Land investment is a simple, concrete opportunity that all but guarantees future income, so as long as the land can be used by other buyers down the road, there’s a sense of security for your purchase. Money is not something we spend without consideration, and when we do decide to make a long-term investment, it should be something that’s easy to navigate and even easier to make a profit from. With economic change and uncertainty happening in domestic and foreign stock markets, putting money into stocks, bonds and companies is less reassuring, especially since we don’t have control over what happens to our money once it’s been invested. All factors considered, the safest and most likely place to see financial growth is through the purchasing and selling of land. Land agents, real estate sellers, and virtual property managers agree, when you’re able to secure a plot of land that could be the slightest bit useful to another person, you’re able to increase its value and earn revenue from the property. Land is permanent, resourceful, useful, and a necessary part of any new structure, business or production. It may seem out-of-the-box, but gain a sense of security by choosing vacant land as your next long-term investment strategy.